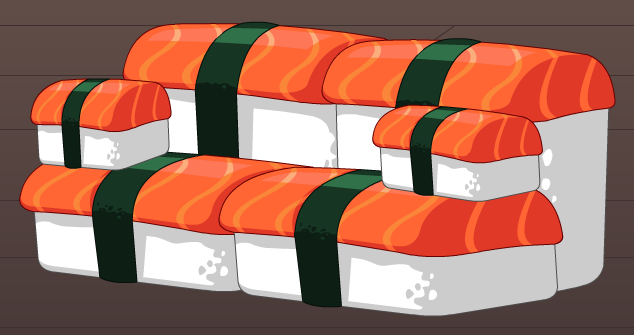 Description: A deliciously crafted Sushi Sofa, complete with sushi throw pillows. Prone to soy sauce stains and wasabi burns. Thanks to Flitterifie and Tokijin.